This story by Sonia Narang  for GlobalPost originally appeared on PRI.org  on March 7, 2018, and is republished here as part of a partnership between PRI and Global Voices. Inka Saara Arttijeff and her family gather in the cozy kitchen of their red, wooden house, as a pot of soup simmers on the stove. They live at the edge of a frozen lake in the storybook village of Nellim, up towards the far reaches of northern Finland. It’s early February, and the sun here begins to set around 3 p.m. Arttijeff is part of a family of indigenous Sámi reindeer herders who are unfazed by short days in subzero weather. The Sámi are indigenous to the northern parts of Finland, as well as Sweden, Norway and Russia, known for their centuries-old tradition of herding reindeer. (Reindeer are considered “semidomesticated ” in Finland, and guided through their seasonal migrations by the herders.) However, the warming climate has threatened to disrupt the Sámi people's  tradition of reindeer herding. As Arctic temperatures rise more than twice as fast as the global average , reindeer herders are struggling to cope with increasingly unpredictable and extreme weather. 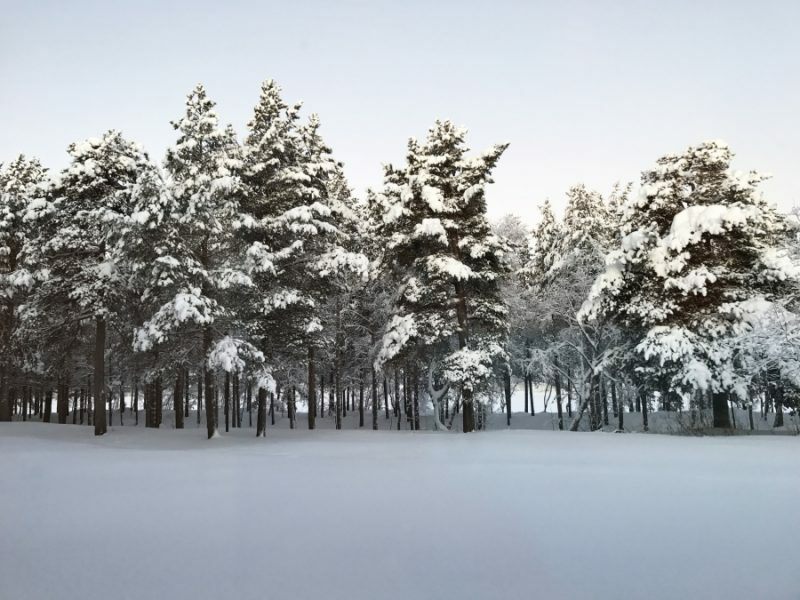 Outside Arttijeff’s home, vast expanses of snow-covered trees fill the forest landscape. However, logging has started to encroach upon forests where Sámi people herd. The combination of weather changes and increased tree cutting has made it harder for reindeer to find food, and it’s altered their migration patterns. “Reindeer herding represents a way of life,” Arttijeff said. She spent her childhood around reindeer, and her herd learned to recognize her. “When I was a kid, I used to take a calf, and I would tame it and take it to walk with me. So, it was my pet,” she said with a laugh. 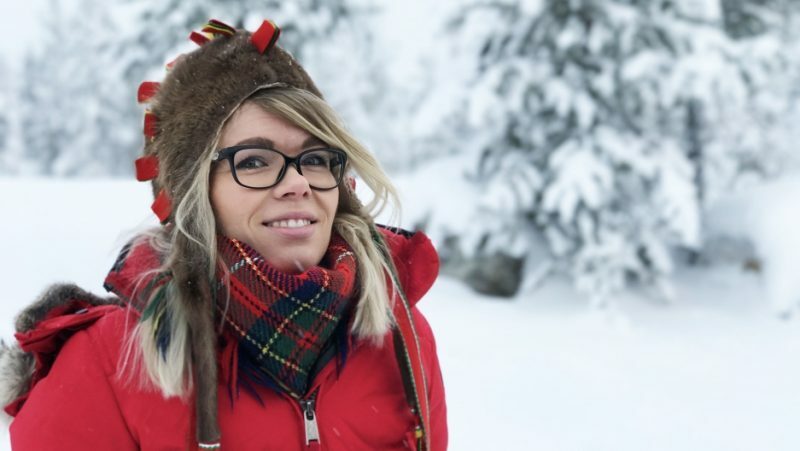 Sámi culture has always been a big part of her life, and Arttijeff infuses her clothing style with traditional Sámi accessories, like the handmade hat she wears outside and the patterned shawl with a round, golden brooch she dons indoors. Arttijeff is one of a growing number of outspoken Sámi women who are taking their voices well beyond the borders of their small villages. The 33-year-old is the adviser to the female president of the Sámi Parliament, Tiina Sanila-Aikio, and represents Finland on the world’s stage. Every year, Arttijeff joins a delegation of indigenous representatives at the UN’s climate change talks. In between all that, she is also a graduate student in international relations and law. Arttijeff says it’s an honor for her to represent the Sámi people and her country in international summits. “It sounds very weird, but before, the non-Sámis and nonindigenous were actually deciding for us. Now, we can be part of the decision-making, and they actually take us into account,” she said. 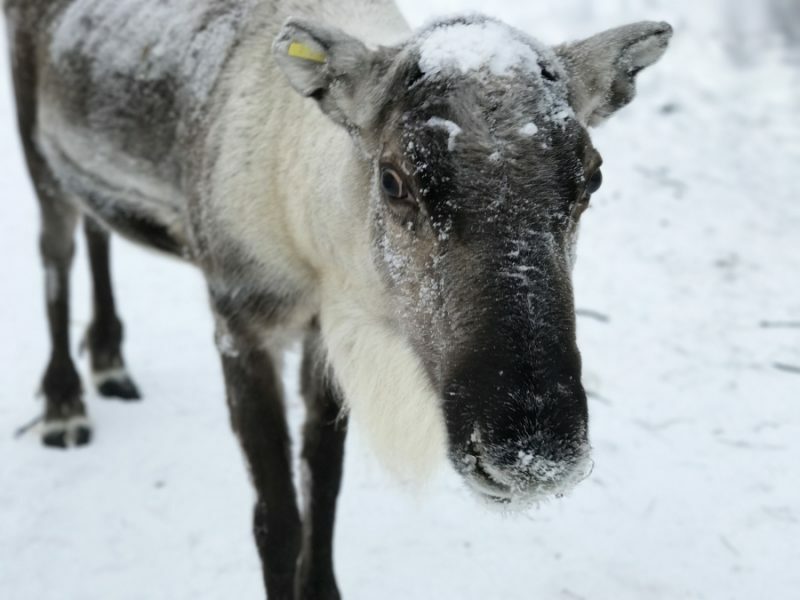 For indigenous reindeer herders, a slight temperature increase can have drastic repercussions. Reindeer used to be able to easily find their favorite food, lichen , a fungus-algae combination, in the winter snow. However, milder winters have caused melting and refreezing of precipitation on the ground, preventing reindeer from smelling and digging for meals trapped under hardened ice. On top of this, the warming climate has made it more comfortable for harmful bugs. “New parasites and diseases are expanding towards the north due to climate change and can also infect reindeer,” Kumpula said. At the Sámi village home, Arttijeff and her uncle discuss the issue of logging in their region. The 68-year-old Sámi elder, Kalle Paadar, has been herding reindeer his entire life and describes how forestry activity is a more noticeable problem. As trees are cut down, the vegetation of the forest changes and reindeer alter their migration routes. Logging also creates timber waste that litters the ground and covers up food sources for reindeer. “For reindeer herding, [we] need forest that is healthy,” Arttijeff said. Saara Tervaniemi also points to forestry as one of the area’s biggest threats. She’s a reindeer herder and mother of three young children. “We are losing our winter grazing lands because of the forest industry,” she said, talking from inside the headquarters of the Sámi Parliament. Finland’s state-owned forestry agency, Metsähallitus, manages about one-third of the country’s forests, and it’s also responsible for harvesting and selling timber. Kirsi-Marja Korhonen, a regional director and environmental specialist at Metsähallitus, says they work closely with Sámi communities to negotiate tree cutting  in reindeer herding areas. Korhonen notes 60 percent of trees on Sámi lands are in protected areas. That still leaves large swaths of Sámi forests up for grabs, reindeer herders say, and they point to clear-cutting of productive forests. 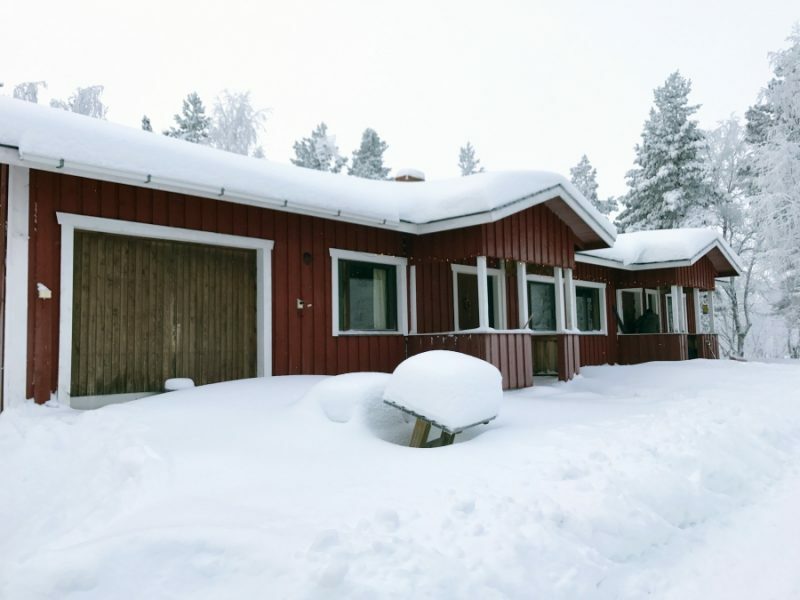 Tervaniemi says it’s critical to monitor forestry activities on her people’s lands since logging is eroding the culture she hopes to pass down to her children. Tervaniemi learned how to herd as a child, during reindeer roundups with her father. Her children aspire to follow in their parents’ footsteps. This way of life runs through the Sámi people’s blood, according to Tervaniemi. “If you say to my husband or reindeer herders in our district to find some other job, I don't think that they have any other choice. They have grown up herding reindeer. It’s our life, and it's a way of existing,” she said. Tervaniemi, 37, is a member of the Saami Council , which brings together Sámi representatives from four countries. “You have to be a little bit [like an] activist to support your livelihood and your culture,” she said. 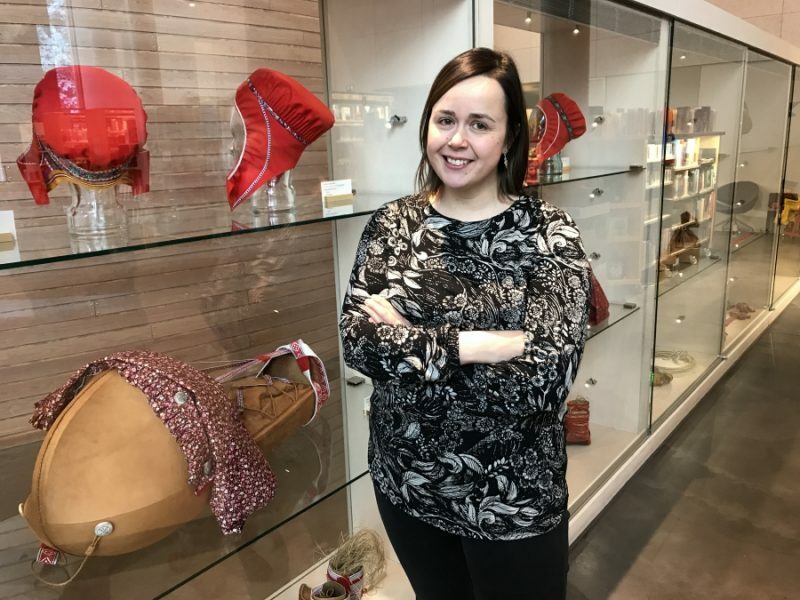 Sámi women have always been on equal footing with men, and many play a significant role in political organizations, according to Tervaniemi, who is also working on a PhD in Sámi issues. Since Sámi women are primarily responsible for child care and passing on their culture to the next generation, reindeer herding has become an important issue for them, especially as logging and climate change have intensified in recent years. Sonia Narang reported in Finland with support from the European Forest Institute’s Lookout360 Climate Change Immersive Story Accelerator.